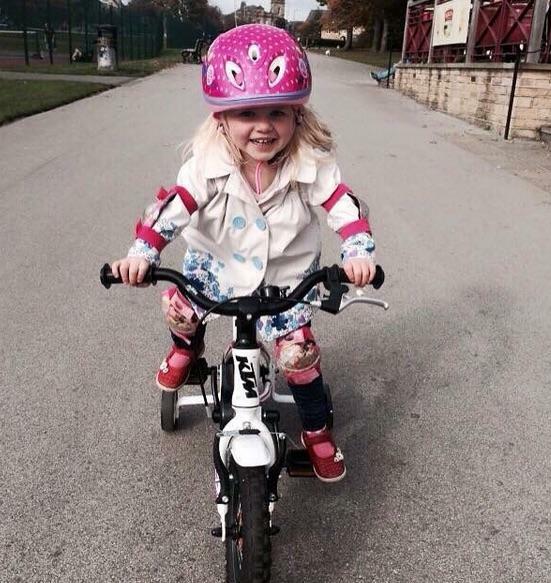 KTM don't just make excellent adults bikes, they also produce a range of bikes for the little ones in your life. 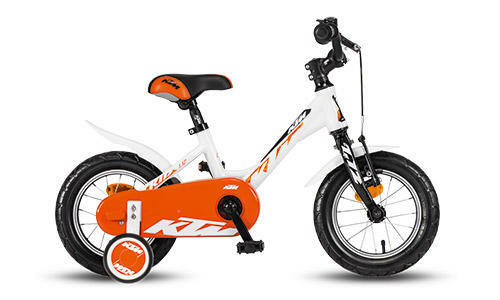 The full kids KTM range of bikes starts with these 1.12 models, that feature 12" wheels and have stabilizers fitted as standard. 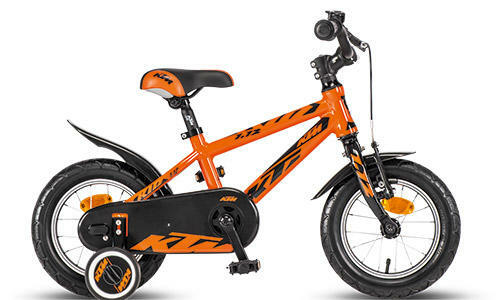 The 1.12 comes in 3 options, Boys, in the classic KTM team orange. The 1.12 girls is a bit more pink, which seems to go down very VERY well with all the 3-4 year old's we've seen with them. There is a unisex model. comes in the step though style in a more subtle colour way. 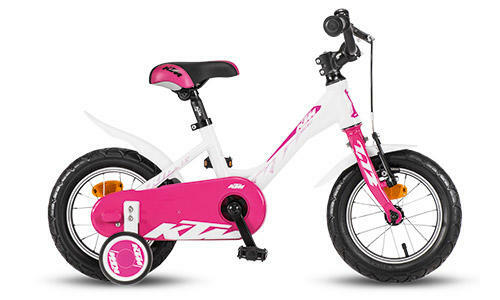 All 3 models are in stock and shipping to dealers now, just ready for spring trips to the park!